Since being launched in April 2016, Facebook Live rose to overtake YouTube as the #1 video streaming service on the Internet. Facebook also has 2 billion monthly users as of June 2017. That’s more than any other social network. So, using Facebook Live to grow your business seems like a no-brainer. Most businesses recognize the importance of video. By 2019 it’s anticipated that 80% of the Facebook news feed will be video. Perhaps you thought about using video in the past, but the high costs and complexity turned you against it. True, storyboarding, writing, shooting, and editing a professional video can be extremely costly. That’s the beauty of Facebook Live video. All you need is a smartphone and an idea. The online marketing world is praising live video like crazy because of its simplicity and versatility. Opportunity can meet innovation at any moment to produce a live video stream to promote your brand in any number of ways. All on the largest social media platform available. And FREE. The essence of all good marketing is storytelling, and that is the prime focus of video. Storytelling applies to any business or industry, no matter how large or small. Anyone can tell a good story. We tell stories all the time as we talk about our product or service and the people with whom we interact. Informational: Drop knowledge bombs and tell people what you know. Inspirational: Speak to the heart, stir emotion, and motivate others. Entertaining: Engage with people, make them laugh or cry. Experiential: Show people who you are, where you are, and what you are doing. The hook of live video streaming is the connection with a real person. This doesn’t mean you don’t want a clear idea of what you’re doing or want to say. It does mean you show authenticity. Be real. Speak to the camera as you would speak to an individual in front of you. Reflect real emotions. If what you’re talking about upsets you, it’s OK to appear a bit upset. If you fumble a word or two, keep going. It’s live, remember? It’s supposed to be real and not completely scripted. Another great hook with live video streaming is the ability to engage with your audience, and for them to engage with you. This is more than acknowledging when participants join the broadcast or comment. 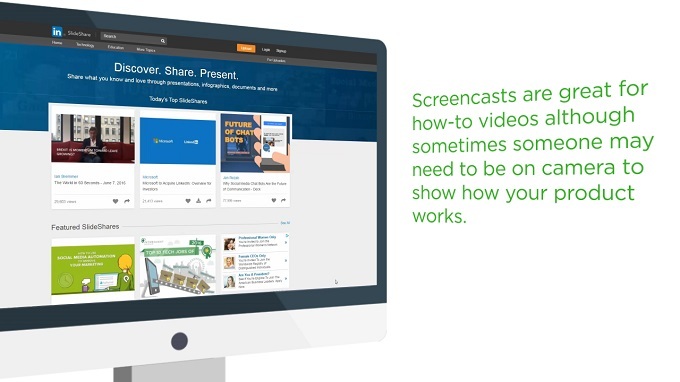 Ask questions for your audience to answer and interact with them as the video continues. The unscripted nature of live video is one of its huge drawing points, so capitalize on that and have fun. The engagement doesn’t have to end when the video ends. Leave an offer at the end of the broadcast and include an engagement button on the post so viewers can get more information or simply connect with you. Leave the live post available on your Facebook feed for more users to view and engage with later. Covering a live event for your brand is huge, and you want as many people watching as possible, so advertise the live video in advance. Set a time and location when you will be streaming live and promote it on every social media channel and your website. Invite local fans to come and be included in the live video audience. Consider giving away some freebies to the live audience and allow one of them to choose a remote viewer to win as well. 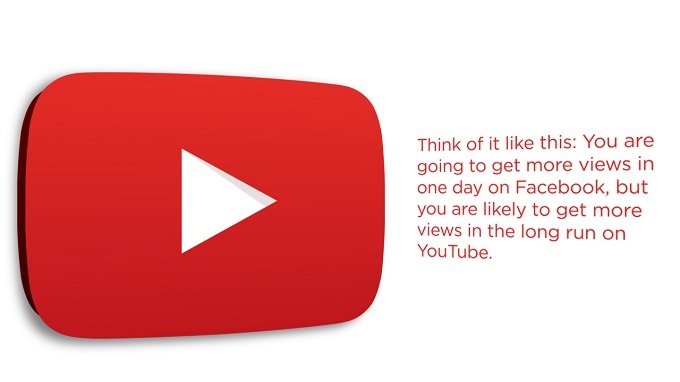 Encourage interaction from your streaming audience and share that with the live audience. 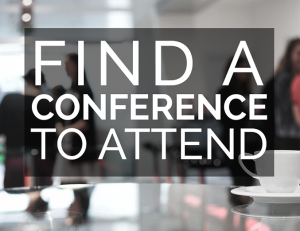 This is especially helpful if you have regular online events, like auctions or product showings. Always have a purpose in going live on video, and tie that purpose to promoting your brand. You can produce a moving live video session about the homeless in your city that engages thousands of viewers without benefitting your brand in any way. Always tie your video to your brand. What are you showing? Why? How does your brand connect to that event, project, or need? As you tell your story, include the why. Why is your brand showing this? What makes it important? Why should viewers care? 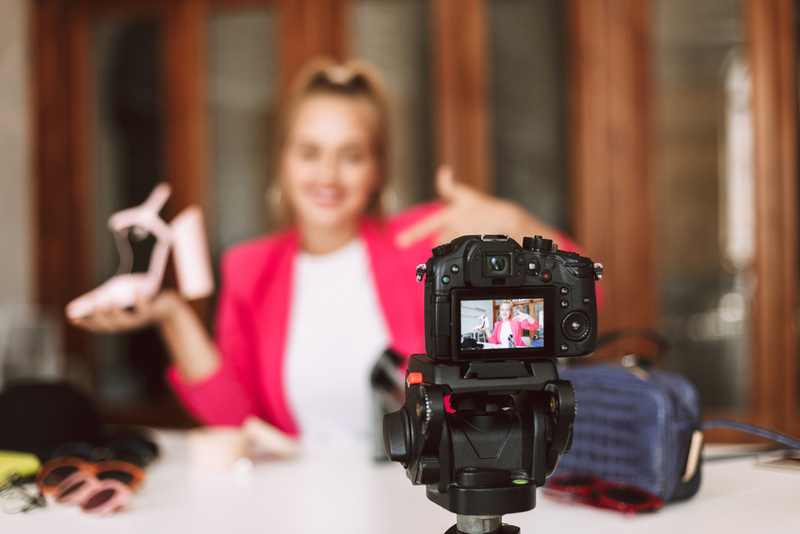 How can they connect your video to your brand? Live videos don’t always have to be about promoting your business; but they should always promote your brand values and showcase your brand. Do you currently use Facebook Live in your business marketing efforts? What are some of your best tips for using it successfully? Share your suggestions and stories with our readers in the comment section below. I truly wish that figuring out poor performing Facebook Ads was a simple process, but unfortunately, it isn’t. Facebook Ads are ever-changing but once you have figured out a couple of key factors, they can be a great tool for building your business. Despite their complexity, at this time, they remain great value for money and a great place to put your marketing dollars. Facebook Ads have incredible targeting capabilities thanks to the data which Facebook has about its users. Therefore having an effective Facebook Ads campaign is incredibly important to ensure that you do not waste money. A common problem I see is that business owners go far too broad with their audience selection. Being selective about your target market will help you narrow down who the ad should be served to. It’s important to mention though that targeting “Interests” doesn’t necessarily mean you’re targeting an audience who directly like the page of a brand, celebrity or influencer. 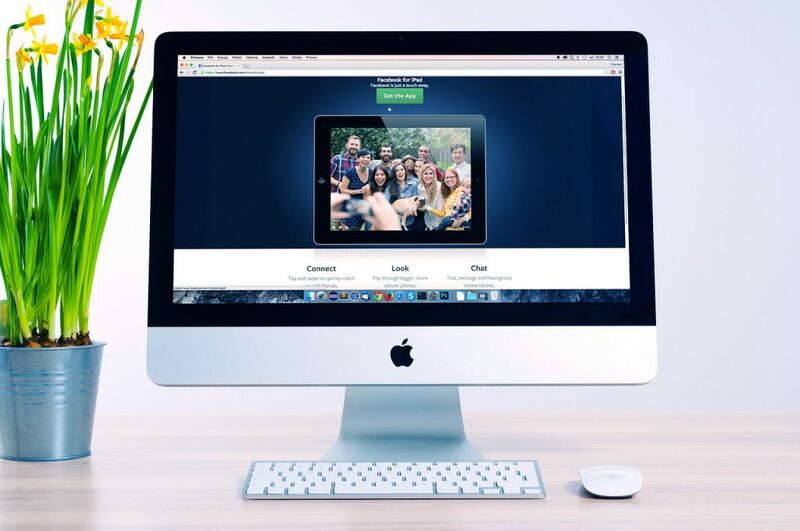 Selecting a particular interest will choose an audience that showed interest maybe by visiting their website, interacting with their social media or liking a post at one time. It is therefore not recommended to select many audiences when setting up your Facebook Ad. Instead, pick one or two and test those out and see how your ad performs. It is worth remembering that when you run a Facebook Ad, you are interrupting somebody scrolling through the newsfeed on Facebook or Instagram. People go to these platforms to be entertained, to catch up with friends and family or to see what is happening with their favorite influencer. Your image has to be incredibly compelling to interrupt somebody’s day-to-day distraction and to make them take notice of your business and what you have to offer. Bright colors work well, so does a compelling call-to-action within the image. 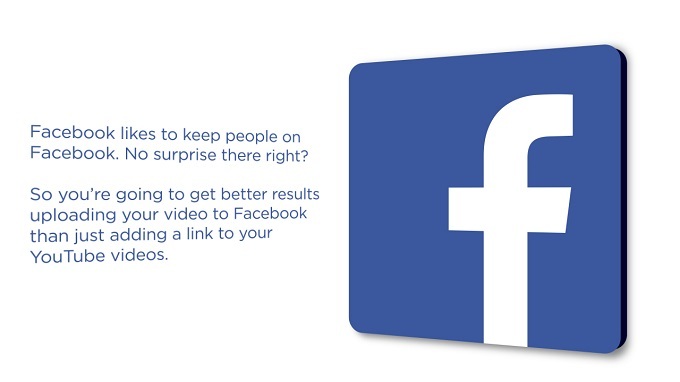 Also remember that when it comes to images on a Facebook Ad, your text has to be at 20% of the image. Click here to use Facebook’s Text Overlay Tool to make sure that the image you are going to use is compliant with Facebook’s rule. Even though people love images and video in their Facebook and Instagram feed, they do also read the ad’s copy. I have tested different copy lengths for ads and have found short copy with headlines that are to the point work well. Conversely, long copy which paints a picture and tells a story works well also. If you are finding that your Facebook Ad is not performing as well as you would like take a look at these three areas and test different alternatives to your audience, your copy and your image. Do not, however, change all of these at once. Be careful when tweaking your ad, otherwise, you will not know what change produce what result. Instead, adjust one of these and see how that goes. If your ad is literally getting no response after a few days of running, it might be time to go back to the drawing board with your audience, your image and your copy. Facebook Ads remain one of the key ways to build an online business, a new audience or get your name out into the marketplace. While you should not turn your back on Facebook Ads if you have not had a good experience, you have to be smart and pay attention to these 3 variables as these are the difference between your ads being a money maker, rather than a money pit. UK born, she has been marketing small businesses since her teens when she was working in her Mother’s business. She’s American Dream chaser for as long as she can remember and she currently lives in fabulous Las Vegas with her husband. 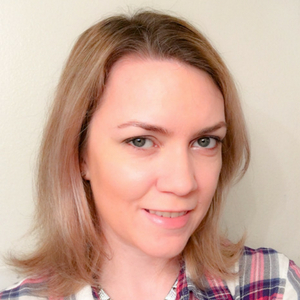 By day, Caz is a social media strategist helping female entrepreneurs bring paying clients to their business through social media and Facebook Ads. She loves helping business owners find their passion, love their purpose and say goodbye to anything which isn’t their calling. She strives to help entrepreneurs sparkle, thrive and find their drive. By night, she drinks a lot of tea, strives to touch her toes in her favorite yoga class and thinks a LOT about food, where to eat and what to cook and bake which is why she named her company Social Kitchen Media! She’s excited to share everything she’s learned on this small business rollercoaster journey, starting and growing a side hustle and thriving in the awesome world of social media. Now you know a little about me, I’d love to get to know more about YOU! Let’s hang out. In 2016, The New York Times published an article sharing with readers the surprising amount of time social media, specifically Facebook, consumes out of our day. Active users on Facebook and Messenger reached over 1 billion people and the average amount of time spent on these platforms is nearly an hour. 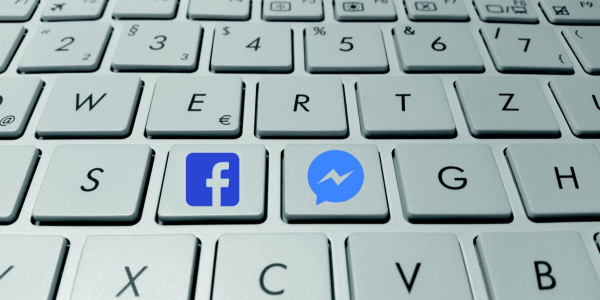 With users spending about 50 minutes a day using Facebook and Messenger, it’s a no-brainer that you want to leverage Facebook to gain customers and leads. To be successful, your business must change as its customers change. Time spent on mobile devices and social media networks is steadily increasing, so you need to be easily accessible and open to communication. But recent publications indicate that it won’t be Facebook that’s dominating the marketing world in 2018. Instead, it will be the new ability to use Messenger as a channel to promote your business. Aside from the regular Facebook newsfeed, there are a few ways to also utilize the Messenger app to draw in new customers with your promotional tactics. Now, not only can you can create an ad that appears on the Facebook newsfeed, you can take your ad to your audience with a one-on-one experience. You can personalize an ad with a custom message to your audience and choose a call-to-action. When your ad appears on the homepage of Messenger, potential customers are just a click away from chatting with you in real time. If you’re going to utilize Messenger to communicate with customers and clients, a chatbot may be just what you need. By using a Messenger chatbot, you can automatically reply to customers. Instant access and quick replies keep clients and customers happy, and keep them coming back with your excellent customer service. You can create a custom message that will automatically be sent to the customer, giving you time to get back to your computer or phone to reply. Companies like Food Network and Whole Foods Market also use chatbots to help their followers find other interesting related content and articles. This opens up a new way to reach your audience and allows you to deliver personalized content – you now have a way to give your customers and clients an experience that you otherwise would not have before. Taking advantage of the ability to instant message is not only convenient for your customers, it’s convenient for you. Messenger is also a great tool because of its ability to be more private. You can easily handle negative feedback or other matters privately at an instant without ever leaving the Facebook messenger app. It also allows you to keep track of and document all your conversations for quality control or to bring forward later on if they are needed. Another feature of Messenger that works well for marketing is the ability to engage your audience with events outside social media. Facebook users have the ability to sign up for events through Messenger. When they do, they will automatically be sent a reminder for the details of the event. In the days before the event, your customers may be notified and kept up to date about any new information. This way of communicating updates about events proves more effective than traditional email updates. A study done by Hubspot noted the open rate for Messenger broadcasts was at 80% while the open rate for emails was only at 33%. Since Messenger allows conversations to be kept for future reference, using data from Messenger chats can be a great way to create better ads that ensure you’re reaching the people you’re targeting. Your communication with customers can reveal a lot about the audience you’re trying to reach – struggles, desires, and wishes. Messenger is a great place to get feedback and ask opinions. You can get a small piece of the conversations already going on in your customers’ lives. Being able to transform Messenger data into something real and substantial can help you better serve your customers. 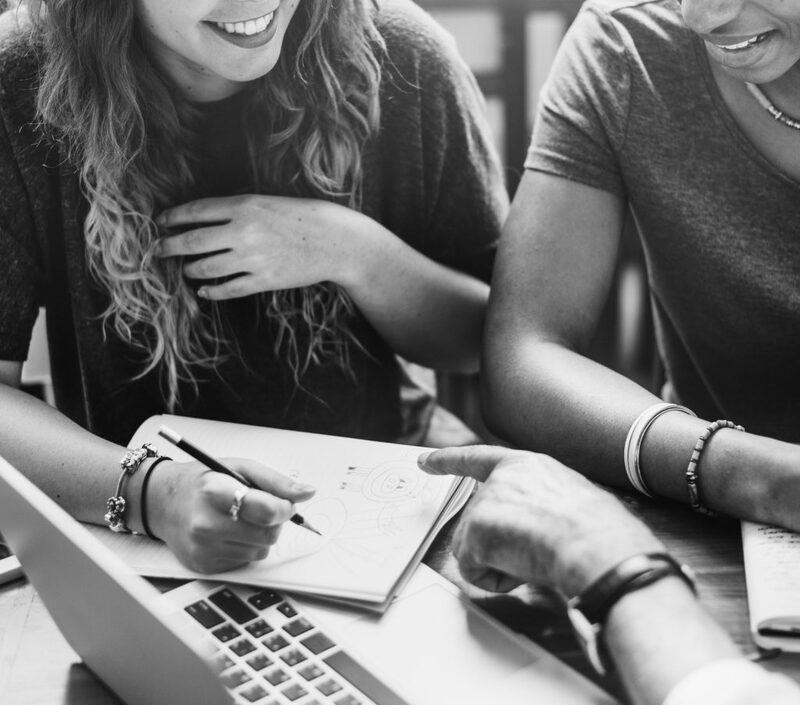 When you understand more about the people who are using your products or services, you have some great intel into what marketing tactics can help you most effectively reach your target audience and give your business a boost. An essential part of using Messenger to help you understand what customers want is the comment-to-messenger function, which allows you to auto-message anyone who comments on your Facebook posts. Instead of using an ad to create a promotion or produce a lead, you become invested – you are taking an approach that is relationship-oriented. Now, not only can you gain context into the goals of your customers and clients, you have made a way available to have a sales conversation. Offers for products, deals, or special promotions have become relevant to them. Your advertisements aren’t random and they aren’t just considered spam, so your business has an even better chance of success. The sky is the limit with interactive Facebook Messenger marketing. If you are ready to take it to the next level you might want to look into a service like ManyChat. How have you used Messenger to personalize your marketing efforts? Have you had success? What problems have you encountered, and how did you solve them? We’d love to hear your feedback. Share your comments below. Are you a marketer not yet sure about Facebook Stories? Every marketer can relate to the importance of storytelling in branding success. Great brands are made of stories, not just of products and services. 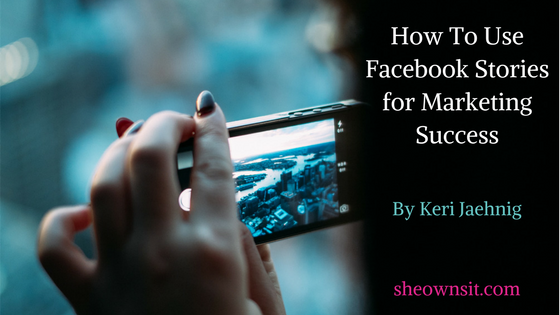 In this article, you will discover how to leverage Facebook Stories as a tool to maximize your marketing outreach. Facebook launched ‘Stories’ in March 2017. Social media evangelists hailed it as a strategic move by the social networking leader to rival Snapchat. In the past, Facebook had tried to acquire Snapchat, but that deal did not mature. Snapchat went on to build its own social fan following with a unique gamification plan called Snapchat count – A score reminding users how many snaps they have sent and received. But, Facebook never backed down and eventually launched Facebook Stories allowing Facebook users to share their images with fancy filters with their friend connections. Facebook Stories was first found on Instagram – the Facebook owned image sharing behemoth. Believe it or not, Facebook Stories are an excellent way to market on the social network. 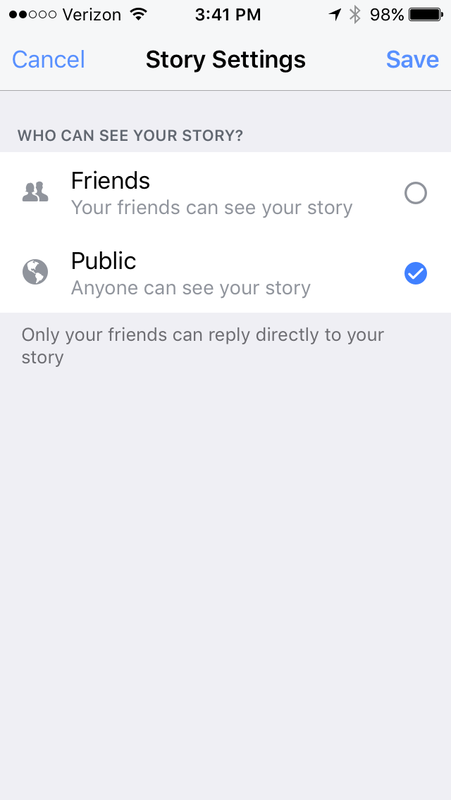 A more recent development, Facebook finally got it right and has made it possible for users to share their stories to specific friends, all friends, or to public. Public sharing of Facebook Stories has the potential to boost the activities of influencers and celebrities. 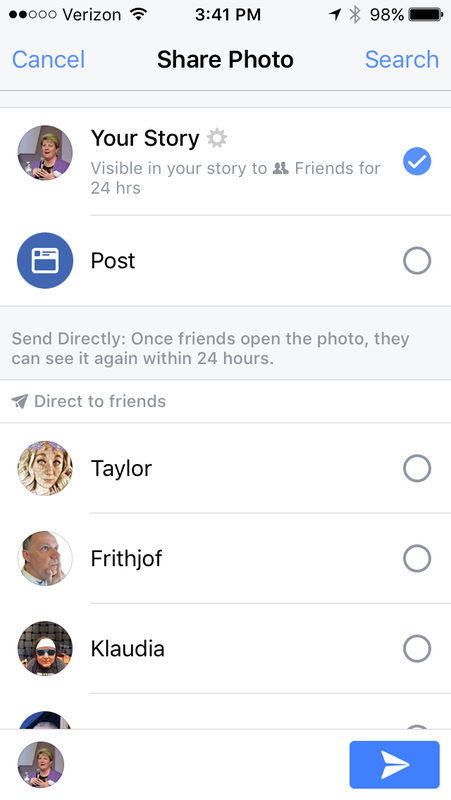 Sharing Facebook Stories publicly gives multiple times reach compared to posts shared in privacy mode. In case you have yet to start using Facebook Stories for marketing, perhaps there is no better time to start than now! Facebook stories disappear in 24 hours. Unlike status posts and image sharing, they don’t remain for long. So, you have a very short span of time during which an impact has to be created. How to create value? Share valuable content. While Facebook Stories offer a splendid way to grab the viewer’s attention quickly, it should not be misused for pushing marketing content alone. Share ‘valuable content’; content which is educative, informative and engaging for anyone who sees it. When they derive value from your Facebook Stories, they stay loyal to your feeds thereby increasing engagement. The clock is ticking and time is short to capture the market. But, that should not force you shoot out Facebook stories every minute. There is a specific time span during which the viewers’ attention and engagement levels will be at its peak. Hootsuite suggests the following timeframe as ideal for posting on Facebook. You can follow the same with some adjustment to fit your followers’ behavior. Every brand has a story of its own, an identity, and a persona. It is this identity which distinguishes it from rest of the world. So, when you are using Facebook Stories, it is best to be consistent in telling your brand’s story. Do not deviate from your core message by putting random posts just to keep your face at the top of the Facebook Home screen. Instead, show customers using your product, a quick run through behind the scenes action at work, maybe an assorted picture slide of your products, as well as celebrating a milestone. And more – This is really your blank canvas. Facebook Stories for marketing is basically content marketing in practice. A core principle of content marketing is that you stay true and sincere in your sharing with your users. If you share stories that are too complex, negative, or difficult for the viewers to understand, you will likely lose them or turn them off. On the other hand, let’s assume you run an online homemade chocolate business. You can easily win your customer’s attention using Facebook Stories with images of the chocolate making process, different chocolate types, chocolate sculptures, people enjoying chocolate on a random time of the day, and so on. Once you are comfortable with the above concepts, try having your customer themselves submit or share images to keep your brand image more real and personal. A brand which feels real and personal is bound to become a part of the customer’s everyday life. Think: Coca Cola, Nestle, Hershey’s, etc. Now you know how Facebook Stories can boost your brand image. Why wait any longer? Get started and start owning your social media presence! Can you add ideas or tips? Please let us know your thoughts in comments. 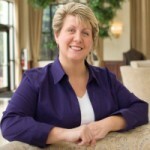 Keri Jaehnig is the Founder and CMO at Idea Girl Media, an international Social Media Marketing Agency. Keri helps business brands, public figures, and non-profits achieve and positive online reputation. You may have seen Keri online at Forbes, Social Media Today, Search Engine People, Business Insider, AOL Small Business, TabSite, WiseStamp, SteamFeed, and other social media marketing websites. She also writes for her own blog at ideagirlmedia.com. In 2013 Keri received a Small Business Influencer Honorable Mention Award, and a commendation for Outstanding Attainment in Social Media from the State of Ohio Senate. Non-fat lattes, travel & quick wit make her smile, and Keri is always enthused to meet new people! 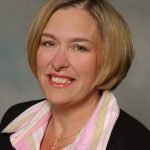 Connect with Keri on Facebook, Twitter, Instagram, and LinkedIn. Last year I made the decision that 2016 was the year to leave my 9-5 and go full time. As part of my growth strategy I decided to focus on building my own community and attracting people into it. This way I could quickly build rapport and move them through my funnel as they got to know and engage with me better. 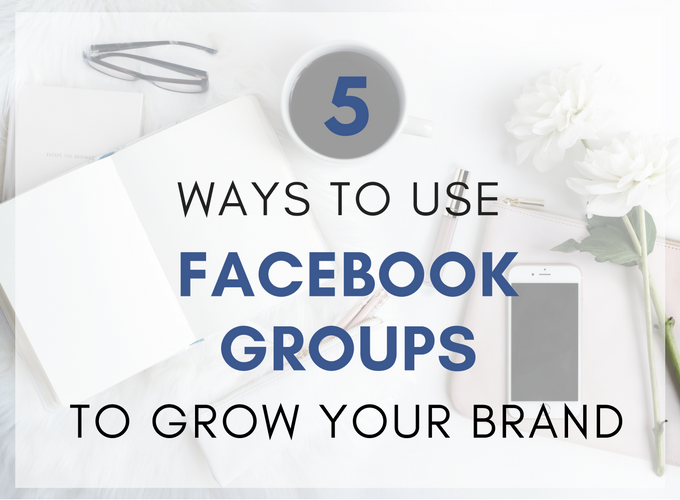 In this article I share with you 5 tips to help grow your Facebook group. I got clear on the focus of my group, who it was for and how I was going to deliver value. A lot of people start Facebook groups without realizing how much work is involved in running and maintaining a group, especially in the early days and often start and then give up. Until you reach critical mass of around 500-600 members, a lot of the conversation and engagement in the group will be you. Which can be a little discouraging but as long as you commit to being consistent, this will pay off. I used Facebook live to create a brand awareness campaign and regularly produced videos. One of which went viral and to date has had over 150k views. My audience knows what to expect from me, they know, for example, that they are going to see me live at least once a week in the group. When an image I’ve posted comes up on their feed they recognize it as mine because I always use my brand colors and particular templates. It is important to know your audience, know how they want to hear from you and what about and how you want to talk to them. Then stick with that. On social media your voice is your brand. Every time I put something out there I am clear about what I want the outcome to be. What is the objective of this piece of content. This meant that I was able to always have a clear CTA and place to drive my audience – the Facebook community. Every post I put out there gave a valid reason and value as to why they should and could join the community. Every platform was a driver towards the community. This is where I knew I was going to make the bigger sales and how I was going to build my trust factor and value proposition. Once inside the group I had daily themes, a weekly q&a and I made sure to over deliver in value. Consistency with times is key and being realistic with when you can be present within the group so that you don’t set yourself up to fail. Whether you have 10 people in your group or 1000 you should always deliver the best possible value and be consistent with it. This way people know what to expect and when. Making it easier for them to engage. When you understand your target audience and you have started to be consistent, then connecting with them becomes much easier. The early days are the hardest, as it’s mostly you putting yourself out there in the group and adding value. However once the numbers grow so does engagement and people become more confident about connecting with you and with each other. I put questions out there and called people out to be more visible on my live videos, so it became more personal. People want to get to know you and trust you so you’ve got to help them do that. Always ask yourself, what is in it for them, how is my group different to what is already out there. Share valuable content, share yourself and allow people to connect with the human(s) behind the brand. My C.E.O. Mastery Community for Female Entrepreneurs is now at 2700+ and growing, it’s the place where I engage with my audience and create new leads every day. How are you building your online community and why? 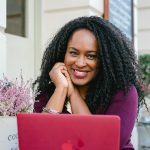 Chichi Eruchalu is a Business Strategist, Speaker and Coach for entrepreneurial women ready to step up and stand out in their business and life. 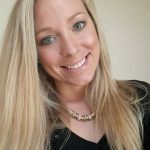 She helps you confidently overcome your fears around being seen online so that you can get noticed and known by the people that matter – your ideal clients. Together she develops strategies to establish you as an authority in your niche, connect you with the people who need to hear from you and helps you show up with intention, making consistency your new best friend so that you can hit your income goals month after month. We have all seen them, those random pairings of words forming phrases, pre-cursored with the number sign so eloquently or sometimes not so eloquently embedded in various social media posts. Many of you have probably wondered to yourself, “Is there a point to this?” or “Is this even effective?” and the answer is unequivocally YES! The use of Hashtags, when done properly can be one of the easiest and most effective ways to market you and your business online. 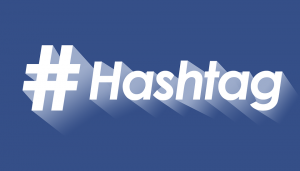 As you can see, the very definition of a hashtag makes it an extremely effective way to search for specific content throughout various social media platforms as well as to promote you, your business, your upcoming event or your campaign. When used properly, hashtags are a great way for individuals and brands to stand out on social media and as a result increase their organic reach and engagement in the process. 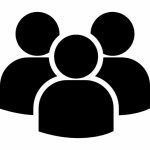 They give individuals useful context and cues for recall, aggregate posts and images together, and update a group of like-minded individuals on certain topics in real time. When you are looking to strategically market you or your brand online, use hashtags as a research tool, to find what terms or phrases are trending in not only your country, but your specific region, town or more importantly, your specific target audience as well. Hashtags, when used properly will actually improve your visibility in search engine rankings which will allow you to generate a higher return on your SEO (Search Engine Optimization) when developing your website or designing your content marketing and social media strategies. Get creative and pick a phrase that is easy to read and relatively short in length. Research what terms are trending in your geographic area. This will allow you to see what people are talking about and how this can relate to your business. Use a little humour that will reflect you and your business brand positively. Check your social media analytics and see which ones worked. Which ones got the most responses, shares, likes, re-tweets, comments or traffic to your website. These will help you to tailor what your future social media posts will include in order to generate the most effective content marketing strategy for you and your business brand. If this particular hashtag didn’t work, then go back to the drawing board and try another approach. Initially, it really is about trial and error and really getting to know specifically who and what your target audience is all about. The great thing about hashtags is that it is a wonderful way to unify a campaign across all of your social media platforms. When using a specific hashtag for your brand or an event, it allows your audience to search across all platforms easily and effectively, allowing you and your brand to generate new customers and essentially give back to existing ones. At the end of the day, digital marketing practices are constantly changing and adapting to the technologies that are readily available. In order to stay competitive we have to change along with them. If you don’t want to be left behind, put on your creative thinking caps and get hashtagging! An Instagram Shadowban can occur. It just goes to show, that if you place your marketing focus on building relationships over acquiring instant sales by providing value to the community you are striving to build around your brand, these types of things can and will be avoided. So my best advice for when you venture into the world of hashtags is to utilize strategically and above all else have fun! Dina Arsenault Digital Media Strategist and the undisputed reigning Madame of creativity, community and connection for the Ontario Chapter of http://acueconsulting.com/. 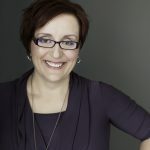 A celebrated and sought after speaker and writer, Dina is a caffeine fueled and food delighted ( locally sourced of course) Community Builder, Relationship Nurturer and all around Small Business Supporter. 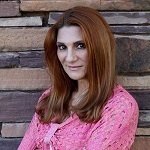 Dina’s online expertise is driven by her desire to promote your business online while connecting and elevating others in the process to foster community and the all around ‘good feels’. If you want to be visible, connected and engaged with your community (and exposed to great food and fun) Dina is your gal! A statement that rings truer today in 2017 than it ever has before. 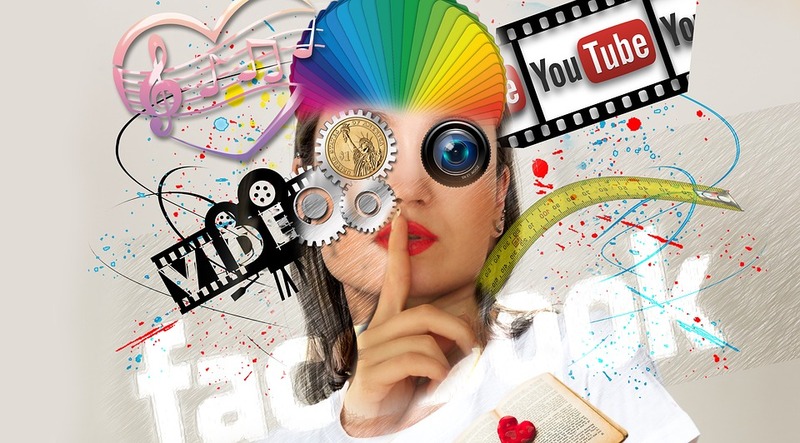 But, the answer is not simply to have a presence online, it is to have the right presence on the right social media platforms that best suits you and your brand values. Understanding and discovering every facet possible surrounding who your target audience is, is paramount for you and your business to succeed online. What are their likes, dislikes, demographics, age, gender, socio-economic status, do they prefer cream or milk in their morning coffee – You name it! In having this understanding you can then determine which social media platform they tend to use and more importantly HOW do they use them. Yes you read that right, how they use them – Either for personal social sharing, for discovering businesses to engage and possibly do business with or both. A prime example of this, is the general assumption that Millennials have abandoned platforms like Facebook, and only use ones like Snapchat or Instagram. Well, this is only partially correct. It is true that Millennials have flocked to Snapchat, the very creative, in the now social media platform that allows for real time communication mixed with fun and interactive filters for both picture and video. Talking with their friends and colleagues on a personal level has never been more creative and enjoyable. 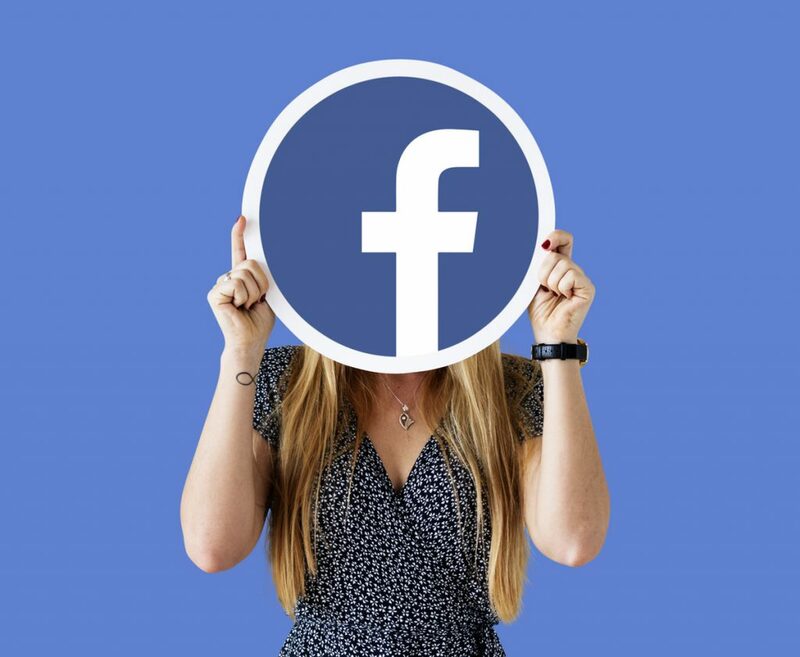 So yes, it is true that Millennials have abandoned Facebook for personal social sharing but, when it comes to checking out businesses or products they are interested in purchasing or doing business with, they definitely still use Facebook. In fact, it has been reported that over 41% of Millennials still use Facebook daily. A demographic who has grown up in a technological age, they have become quite accustomed to using social media to determine if a business they are interested in, is worth their time and or money. How long does it take for a business to answer an inquiry left on their page? Do they respond to comments? When was the last time they posted? Does what they post provide value or does it constantly sell or broadcast; what we at a Cue Creative Consulting like to call it. All of these elements play a part in determining if a prospective individual will want to do business with you. In essence, your social media platform is generally the very first customer service experience prospective clients will have with you. What If we were to flip the script and concentrate on ROR – Return on Relationship rather than ROI – Return on Investment? Can you just imagine how much better of a first, second or one hundredth impression you will be making with your target audience? It really is a no brainer – Build those relationships online and the sales will come, guaranteed. It might not happen instantly but it will happen I promise. But, how do I choose which social media platform to build those relationships on? To help you make this decision I will break down the basics of each platform. Facebook really is a must have for any and all businesses online. It still is the powerhouse when it comes to online social media marketing. Now with the advent of Facebook LIVE video streaming, the doors have been swung wide open for businesses to uniquely market and connect with their audiences online and build those all so important relationships. Let customers get to know the people behind the logo, and in turn, they will become your biggest cheerleaders online. Is a platform centered around the art of the conversation. Unlike Facebook, Twitter really is centered around the landscape of being ‘in the moment’. It really is perfect for those businesses who have things to say frequently and want to engage directly. Ideal for breaking news or current events. Is a perfect platform to reach the younger generation online through the art of visuals. It shows no sign of slowing down while it continues to gain traction with the 30 to 45 yr old demographic. The recent addition of Instagram Stories helps take the customer/user experience behind the scenes of you and your business allowing them to get to know, like, and trust you and your brand in a much deeper way than ever before. YouTube is the second largest search engine and the third most visited website world wide just behind Google and Facebook. This makes it a perfect tool for marketing through google search engines. Simple how to videos, behind the scenes clips, product demos etc are all perfect examples of how to utilize this platform. It really is suitable for most businesses, especially those that are in creative or visual fields. Typically it has been reported that the majority of its users are under the age of 40 and are typically female. 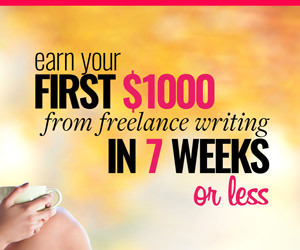 They generally have an income over $100 k per year. It really is an important tool to keep you in the know of what the current or upcoming trends are. Pinterest tends to influence customer purchases, especially with the addition of buyable pins directly within the platform. I hope this breakdown gives you some basic insight of what each platform has to offer and how you can utilize them for you business. Ideally, no business can or should be on all platforms. I suggest that you pick the top 3 that would best suit your needs and devote the time, energy and commitment needed to really make social media work for you and your business. Bonus Tip: If you find even if after reading this blog you are still not sure how to figure out which platform is best suited for you and your business – Check out what your competitors are doing online. What platforms are they using? What kind or reaction or engagement are they getting, ie. likes, shares and or comments they are getting on their posts? And more importantly, what are they doing right to build those relationships online and what are they doing wrong? Identify where they are falling short and you have found a niche that you can fill. If you have any questions about social media or how to determine which platform would best suit you and your business. I invite you to give me a shout, and I would be more than happy to support you in your digital marketing needs! As most of us know by now, having a Facebook Page is not what it was. If you’re lucky, 10% of people who have liked your page will see a post from you (with some studies reporting that the actual number for organic reach is closer to 2%). So, what can we do about it? 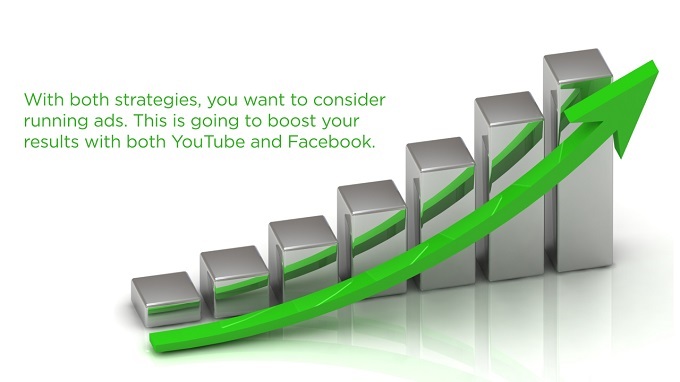 Well, the most obvious and the one Facebook is hoping for, is for you to boost your posts! 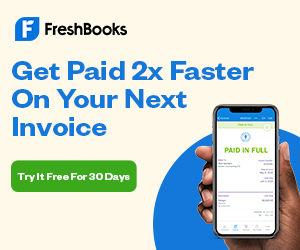 However there is a much better way to connect with your audience and for free – and that is Facebook Groups! You may have heard that Facebook Groups are a great way to gain exposure, develop yourself as an expert and get sales, but you’re not sure how to go about it. Let’s have a look at how you can use this powerful tool to grow your brand – whether it’s for your own personal brand or a business you own. By this I mean – join groups where your ideal audience is and where you can offer real value. Avoid groups that have no ‘rules’ – as these are likely just promotional groups that will have little impact on the growth of your business. Remember the key is to find groups where you can offer value and actually help your people with honest and trustworthy advice. As a follow-on from the previous step, offering value by helping your audience will establish you as someone who knows what they’re talking about. 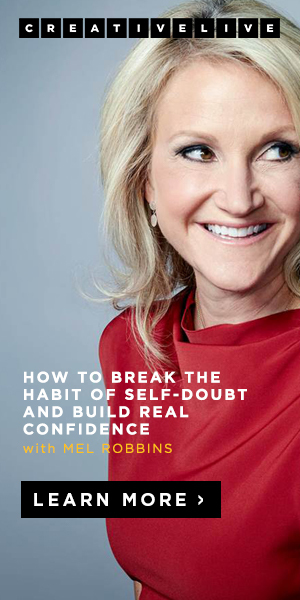 This develops your credibility as an expert – but is also very personal, as it’s very much 1:1 it will help you to build meaningful relationships with people you want to connect with. By creating a Facebook group that is specific to your niche and purposely attracts your ideal audience will make it easier to connect with the right people and filter out those who aren’t the right fit. Being the host of your own group will obviously develop your expertise, but what you really want to accomplish is to build a community of people who support each other. I am a member of a few Facebook groups that do this incredibly well. The ‘leader’ of the group offers advice, however leaves it up to other members of the group to offer support too. Two groups I am particularly fond of are the groups led by melyssagriffin.com and screwtheninetofive.com. Having touched upon this point in Step 1, make sure that any group you’re part of or set up has clear ‘non promotional’ rules. The best ones – like the two FB groups I pointed out in Step 2, have promotional days which include great threads where you can share wins, ask for collaborations etc, which help promote your business in a non icky way. I’ve saved this step for last as it’s the most important and ties all of it together. The reason Facebook Groups are becoming so popular because of the real connections that are made. I am part of groups where members often meet up IRL (in real life) over coffee and cocktails! Being an entrepreneur can sometimes be lonely and with Facebook groups I can attest to not only gaining new clients, but also real support and friendships from them. Seriously – get researching and find out which groups you can not only offer value to but where you can be supported as well. Are there any Facebook groups that you love? Let me know in the comments! 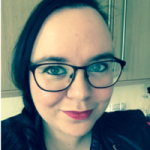 Clare Drake is a brand stylist and website designer for creative entrepreneurs all over the world through her work at Hobbes and Co.
Clare’s passion is to create and develop iconic brands for freelancers, entrepreneurs, small business owners and bloggers that delight their audience. Join the Creative Collective community to get free access to the resource library here.